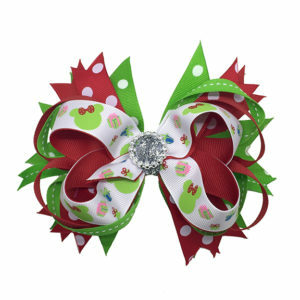 Christmas bow with ponytail holder. 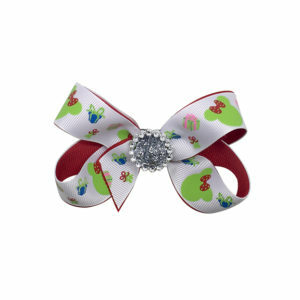 Christmas bow with Minnie Mouse/presents themed ribbon layered over red. 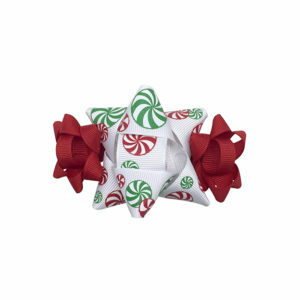 Red ribbon center wrap with decorative knot. 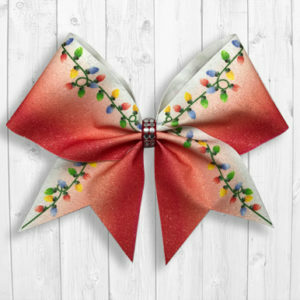 A black elastic ponytail holder is securely fixed to the back. 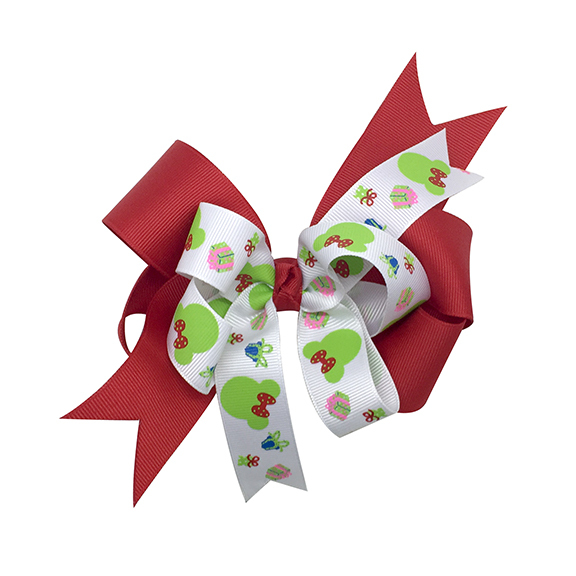 Bow is approximately 5 inches wide across the center.